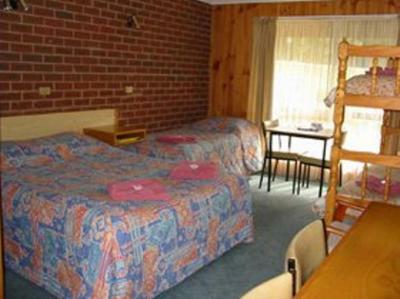 Lock in a great price for Orbost Country Road Motor Inn – rated 8.4 by recent guests! 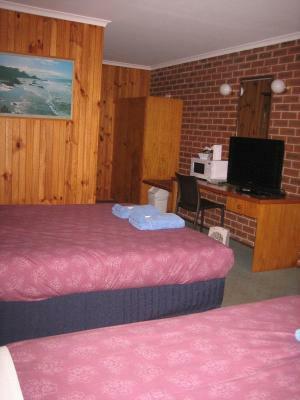 Comfortable, roomy and attractive room. 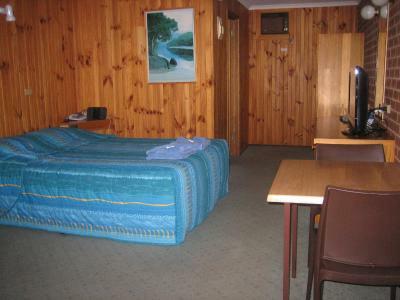 It was great to see the decor which was different to other motels where have stayed. En-suite also was large and convenient. A very reasonably price which included breakfast in the dining room. Although a bit dated, the room was perfectly clean and comfortable for an overnight stop. This motel is located very closely to the city centre and the staffs were very friendly. The facilities in the room were adequate for travelers. Had one night stay. Experienced remarkable hospitality from the owner and the staff. Very clean and comfortable place. worth for the value. The motel was just fine. Next time I'd skip Orbost as a destination though. Comfortable, clean and good for an overnight stay. Very quiet spot. Friendly staff, ease of parking, and excellent breakfast delivered to our room. Very comfortable for a night while were travelling. Owners very friendly. Access to the room was easy with car parking outside the room. Staff were very helpful when we needed some assistance with storing bikes. Easy to find, linked up with highway easily. Mattress was a bit firm for me. 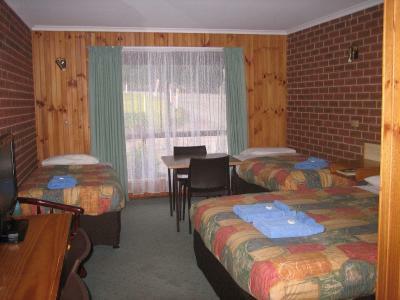 Orbost Country Road Motor Inn This rating is a reflection of how the property compares to the industry standard when it comes to price, facilities and services available. It's based on a self-evaluation by the property. Use this rating to help choose your stay! 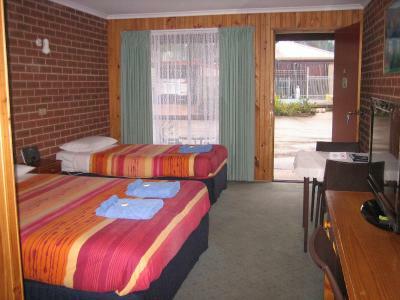 Offering free Wi-Fi, a swimming pool and a BBQ area, Orbost Country Road Motor Inn is ideally located for exploring the Snowy River region. All rooms offer a flat-screen TV-screen TV with cable channels. 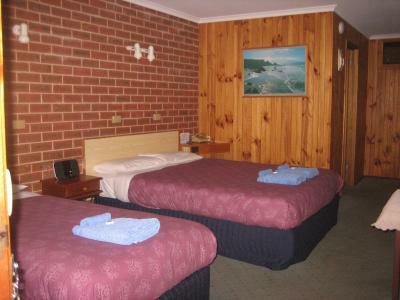 Orbost Country Road Motel is 3 minutes' drive from Orbost Golf Course. 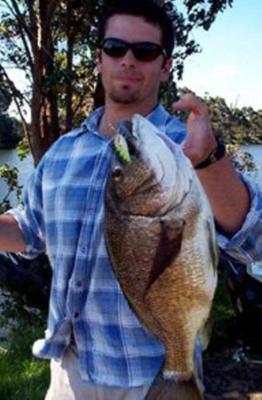 It is 30 minutes' drive from Cape Conran Coastal Park. 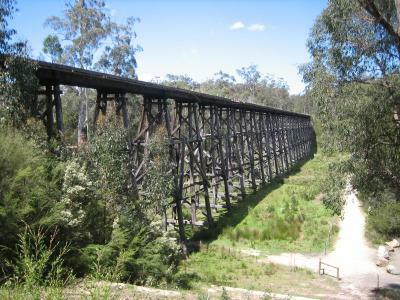 The iconic East Gippsland Rail Trail is 10 minutes' drive away. 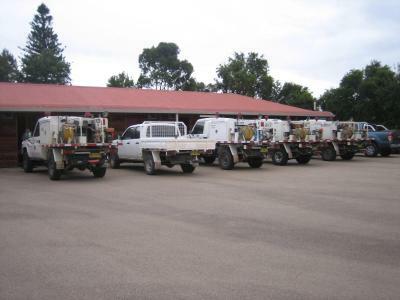 Guest facilities include a self-service laundry and free on-site parking for cars, boats and trailers. 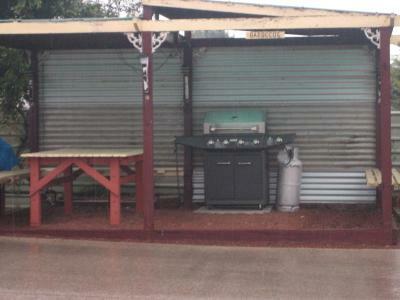 This property is also rated for the best value in Orbost! Guests are getting more for their money when compared to other properties in this city. 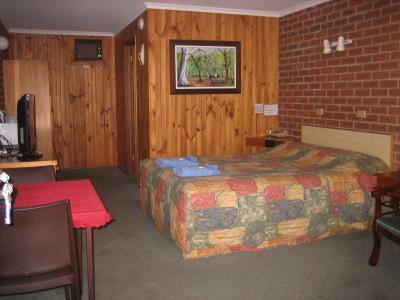 When would you like to stay at Orbost Country Road Motor Inn? This air-conditioned room features a flat-screen TV with cable channels, a refrigerator, a microwave and tea/coffee making facilities. 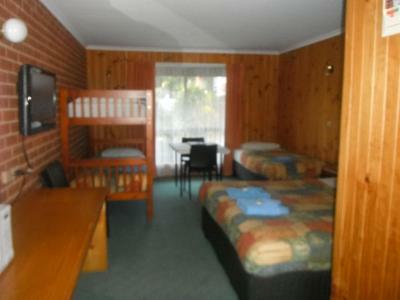 This triple room features a toaster, microwave and air conditioning. This room is wheelchair accessible. 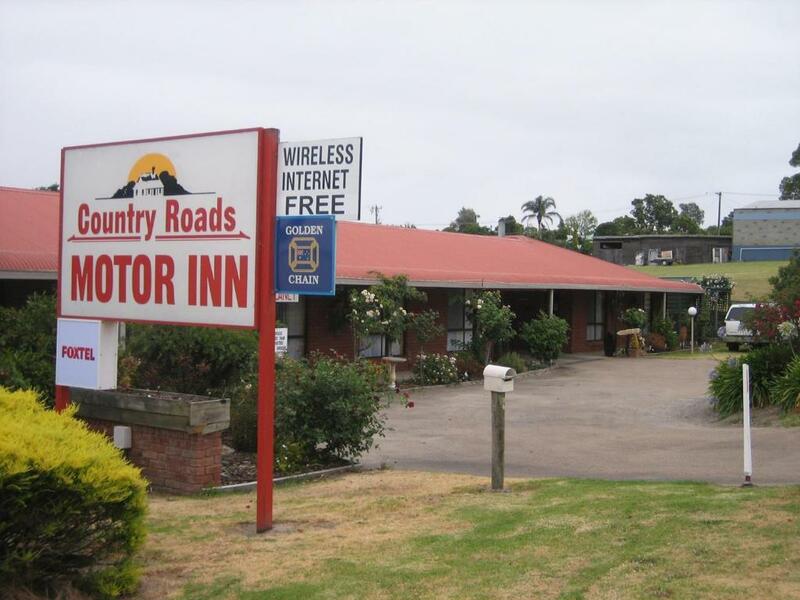 House Rules Orbost Country Road Motor Inn takes special requests – add in the next step! 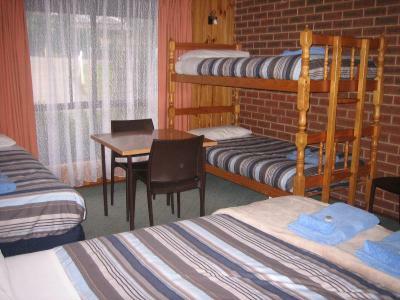 Any additional older children or adults are charged AUD 10 per person per night when using existing beds. Orbost Country Road Motor Inn accepts these cards and reserves the right to temporarily hold an amount prior to arrival. Rather noisy when people turned on the taps or flu#hed the toilet. Didn’t spoil the stay though..
More milk for tea would have been nice. The plumbing was noisy but not a real problem. 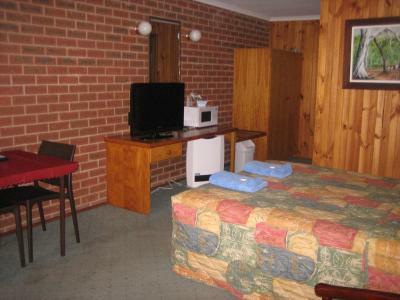 The rooms were clean, fresh well maintained, water in shower was hot, heating was good. Room had a musty smell. Could have a had a microwave, although I realise this may encourage cooking in the rooms, sometimes it is nice to be able to heat something up. Room was clean, staff friendly and helpful. comfy and clean. Breakfast was very good. Location is great! Pool is lovely! Everything was clean and it was our fifth time booking with Bellevue..